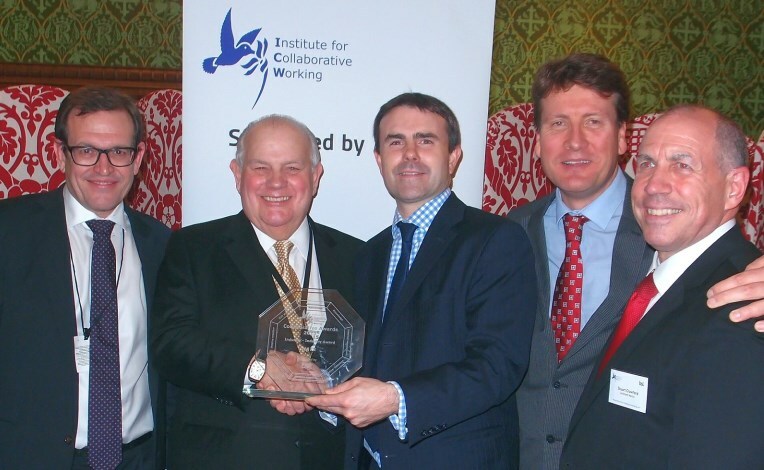 NATS has won the ‘Industry to Industry Collaboration’ award by the Institute of Collaborative Working (ICW). The UK’s leading air navigation services provider scooped the award for its Supply Chain and procurement partnership work with Lockheed Martin and Indra in the air traffic management industry. It was presented by Lord Evans of Watford, a board member of the ICW, at a reception hosted by the British Standards Institute (BSI) at the House of Lords. The ICW is a joint initiative between the Department for Business, Innovation and Skills and the Confederation of British Industry to promote the development of effective business relationships through collaboration. The award ceremony was attended by leading organisations across many business sectors including transportation, technology, construction, defence and telecoms, as well as government, charities and academia.